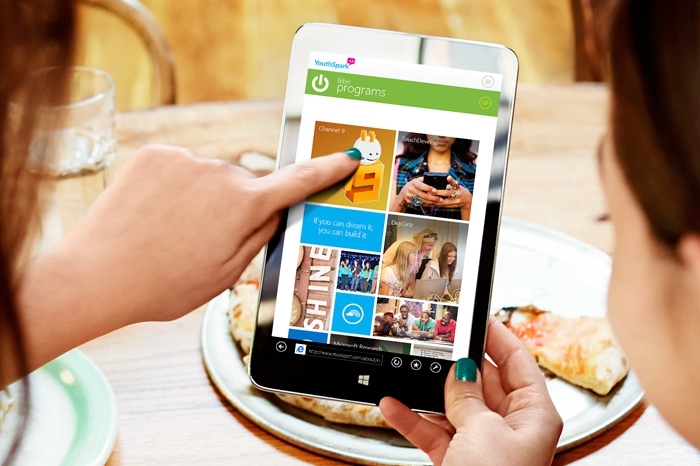 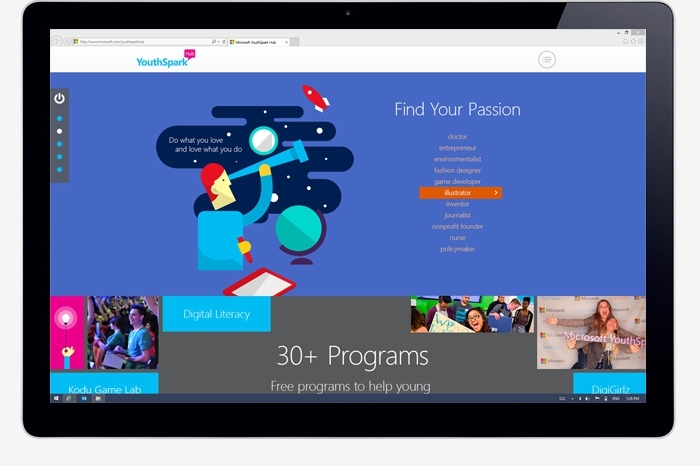 YouthSpark is Microsoft’s commitment to empower young people through technology and provide opportunities in education, employment, and entrepreneurship. 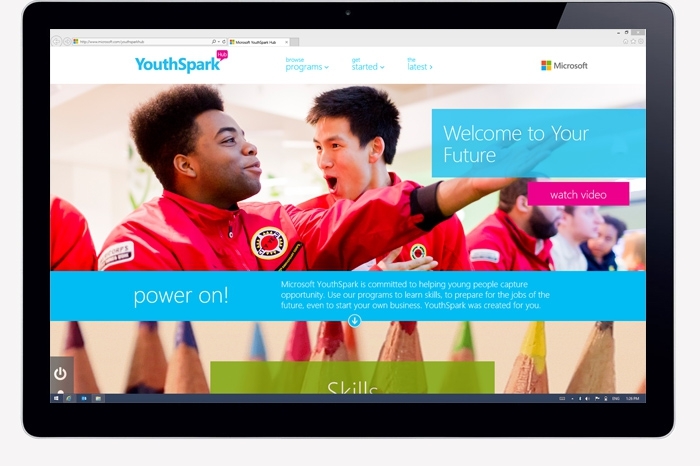 Through 30+ programs and partnerships with 186 youth-serving nonprofits, Microsoft YouthSpark is creating new opportunities for more than 103 million young people in over 100 countries around the world. 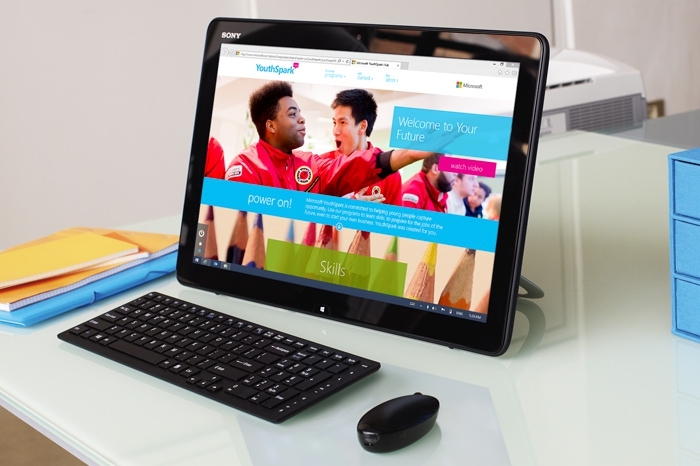 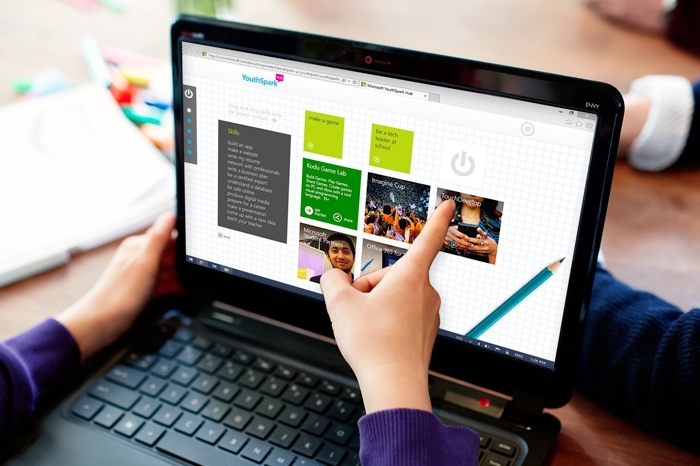 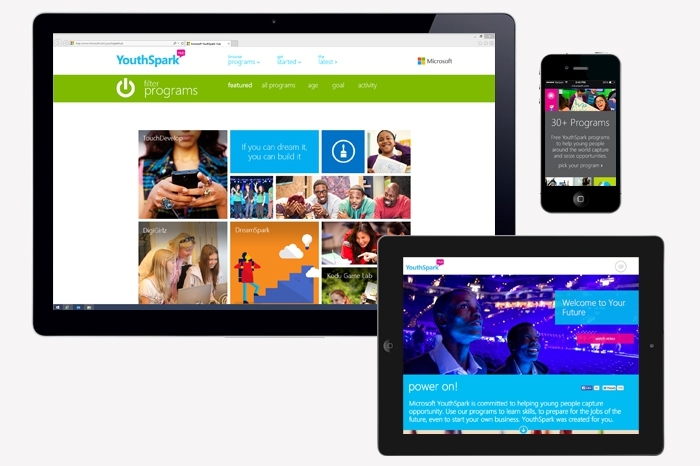 The YouthSpark Hub redesign is responsive to mobile, tablet and desktops and dedicated to exploring the range of YouthSpark programs. 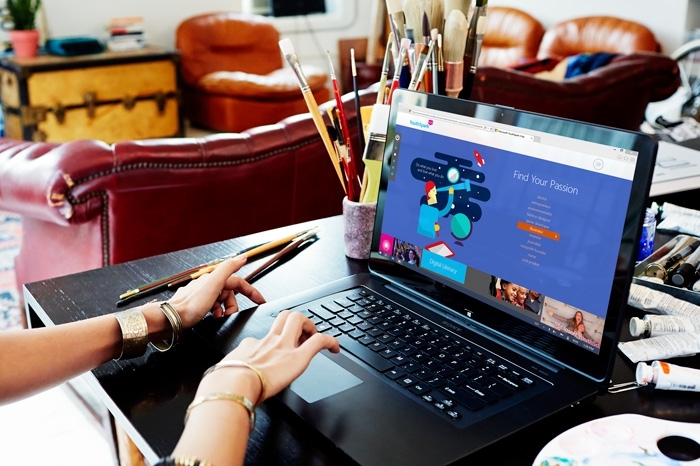 Designed with interactive content and robust social media the site makes learning and discovery fun for young people to find their passion whether it is a career in science or a desired skill like coding. 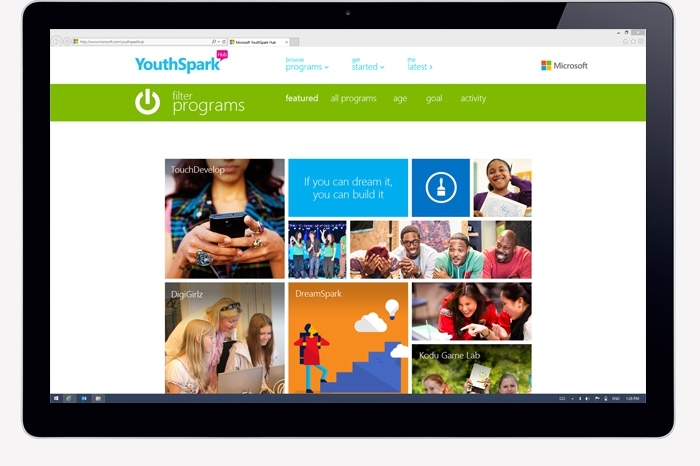 The YouthSpark logo was designed to complement the programs and symbolize the hub as a place for connections and activity. 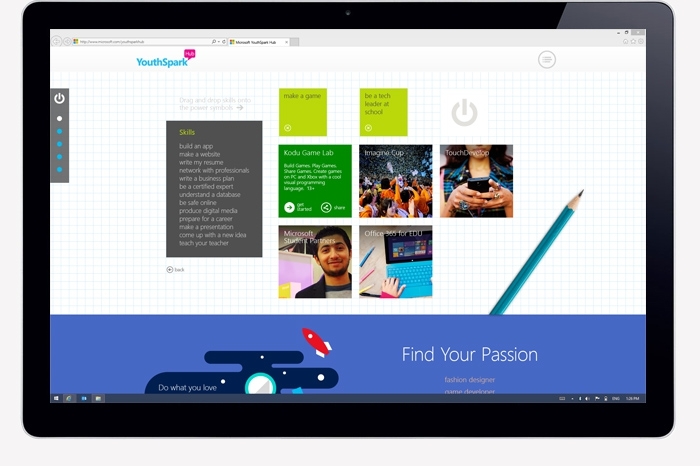 With an emphasis on bold colors and engaging photography the site’s playful look and feel is intended to empower and energize youth to do what you love and love what you do!